Around Town: Lost souls, REconneXion, KAIROS: Fracking, Entrepreneurs . . .
Jamie Taylor would like the church to recapture his great-great grandfather’s passion for lost souls. 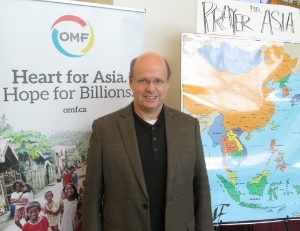 Jamie Taylor (James Hudson Taylor IV) was in town last weekend to help OMF Canada celebrate the 150th anniversary of James Hudson Taylor calling out to God on Brighton Beach for workers to help him take the gospel to the unreached inland provinces of China. I was only able to catch his final talk at Evangelical Chinese Bible Church, but I was impressed with his recapitulation of the life and significance for our generation of his famous great-great grandfather, missionary James Hudson Taylor. * Pioneers: Again quoting Hudson Taylor: “It wasn’t God intention that there be one more Christian and one less Chinese.” His followers went without much theological training, but they were committed to dressing and living in the same manner as the Chinese people – a revolutionary concept at the time. Starting November 3, and running throughout November, the Billy Graham Evangelistic Association of Canada (BGEAC) will be offering seven REconneXion seminars throughout the Metro Vancouver area. The REconneXion seminars will take place at Calvary Worship Centre in Surrey November 3; Hillside Baptist Church in North Vancouver November 4; Maple Ridge Community Church November 5; HillCity Church in Abbotsford November 6; Broadway Church in Vancouver November 18; Evangelical Chinese Bible Church in Burnaby November 19; and Southgate Church in Langley November 20. Over the past two years KAIROS has investigated the ecological and Indigenous rights issues raised by hydraulic fracturing (or fracking), the practice of injecting water, sand and chemicals deep underground at high pressure to fracture rocks containing natural gas or oil. The goal of the forum is to raise the profile of the social, ecological and human rights concerns of Indigenous and non-Indigenous communities across Canada and to facilitate action regionally and nationally. Fracking activities have led to problems with respect to water consumption, air and water contamination, greenhouse gas emissions and induced seismic activity. . . .
Indigenous peoples in BC have resisted the expansion of shale gas fracking projects and pipelines across their territories even though the industry is already established in parts of the province. The Unist’ot’en people are maintaining a camp to prevent surveyors for the Pacific Trails gas pipeline from entering their unceded territory. 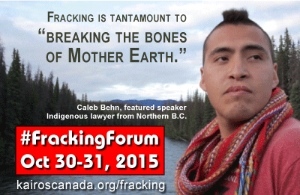 The keynote speaker will be Caleb Behn, Indigenous lawyer, Treaty 8 Territory, northern BC. There will also be a preview of A Culture of Life, the new KAIROS video on ‘free, prior and informed consent.’ Other speakers include Grand Chief Stewart Phillip; Toghestiy, Hereditary Chief, Likhts’amisyu; and Jennifer Henry, executive director of KAIROS Canada. 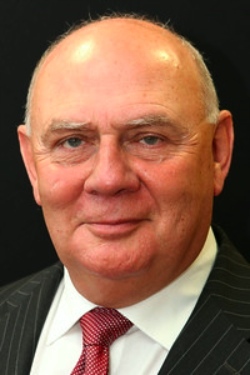 Lord Robert Edmiston will be the keynote speaker at the Entrepreneurial Leaders Conference November 4. Lord Robert Edmiston will be the keynote speaker at this year’s Entrepreneurial Leaders Conference, November 4 at the Pan Pacific Hotel. He will discuss My Faith and Entrepreneurial Journey in his evening address. Born in India in 1946, Lord Edmiston, the son of a war-time fighter pilot, came to the UK at the age of three and subsequently spent, from the age of 10, five years in Kenya before returning to the UK in 1962 where he has remained to this day. He started his career as a bank clerk. He is a Fellow of the Chartered Institute of Management Accountants. Today he owns a number of companies in the property, motor and finance sectors with a combined turnover of approximately £500 million. . . . In 1988, [he and his wife Tracie] founded CV, an international charity with offices in 22 countries working to support the Christian church in the areas of evangelism and discipleship in both the online and offline space. In the UK, Lord and Lady Edmiston have sponsored, and are governors, of three schools, called Grace Academy with around 3,000 students aged between 11 and 18 years. Go here for more detail. The day-long event will include presentations from several other entrepreneurs. For example, Peter G. Hall, chief economist, Export Development Corp., Ottawa, will discuss ‘What Every Christian Entrepreneur Needs to Know About the Economy’ and Timo Plutschinski, from Hamburg, Germany, will offer ‘Lessons from Christian Entrepreneurs in a Post-Christian Europe.’ Go here for the full agenda. John Fluevog will speak at Business By the Book November 4. If you can’t make it to the Entrepreneurial Leaders Conference, you could still hear from an impressive local businessman with a very creative spirit. 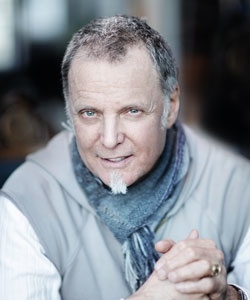 John Fluevog will be this month’s speaker at Business By the Book, also on November 4. John Fluevog is an independent designer and retailer of forward-thinking footwear and accessories. Since 1970 he has been steadfast in creating unique soles for unique souls that have been seen everywhere from the feet of Madonna and Jack White to the runways of high fashion. Speaking of runways, Fluevogs are now the official uniform shoe of flight attendants on Air Canada rouge, the world’s fastest growing airline. John was recently recognized as The Canadian Footwear Industry’s Shoe Person of the Year (but it hasn’t gone to his head). John Fluevog Shoes was also recently named one of the world’s most innovative fashion companies by creative business experts Fast Company.